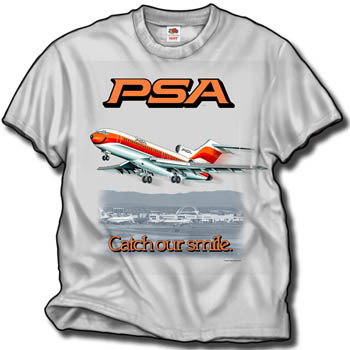 Our latest National shirt has the 747-200 in all its glory. Initially in service from New York to Miami, it also served on National's European routes. On the front of a 100% cotton Natural (light tan) shirt here it is with all the detail there! Braniff B-747SP on Ice Grey!